This commuter is in a league of its own. 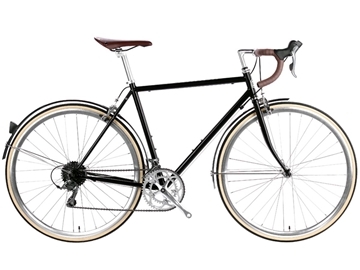 With it’s durable high tensile steel frame and classic Shimano 8 Speed Drivetrain, you’re sure to get the perfect balance between a responsive ride and a comfortable commute. But it doesn’t end there, the unique aesthetics and sleek design will set you apart from other commuters. Dressed to impress and ready to rock, the track bike is made for the rider who is looking to get their heart pumping while jamming through traffic. 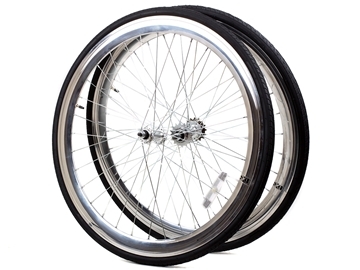 It's light weight and nimble ride comes from 6061 double butted alloy, making it the perfect choice to tackle pot holes while not slowing you down on the hills. With the function of a performance bike and the utility of an urban commuter, look to the track bike to be that edge that sets you ahead of the group on the weekend ride, or home earlier on the commute. 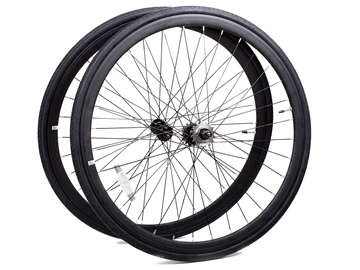 Personalise your ride with 6ku wheelset guaranteed to add style to your ride while talking the rough roads that you may encounter. 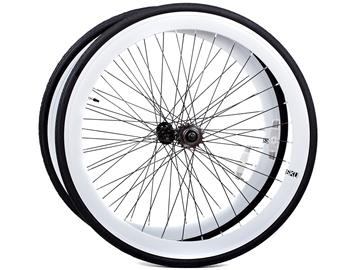 Wheels are a great fit for most fixed gear or single speed bikes and can be swapped thanks to the flip-flop hub. Please note that front axle is 9.5mm. May not fit on all forks. Number one best selling urban bicycle! 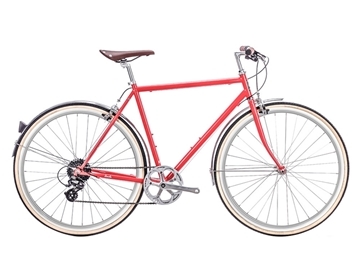 The 6KU single speed/fixed gear bike range is affordable, reliable, comfortable, good looking and extremely good value for money. This product has some paint scratches. Standard one year warranty does not apply to paint work/paint finish. If you have any questions regarding this product please contact us before the purchase.